I’ve been seeing a lot of pins on Pinterest for recipes on No Bake Oatmeal Power Bites. I wanted to create a keto friendly version, with a similar texture in mind. 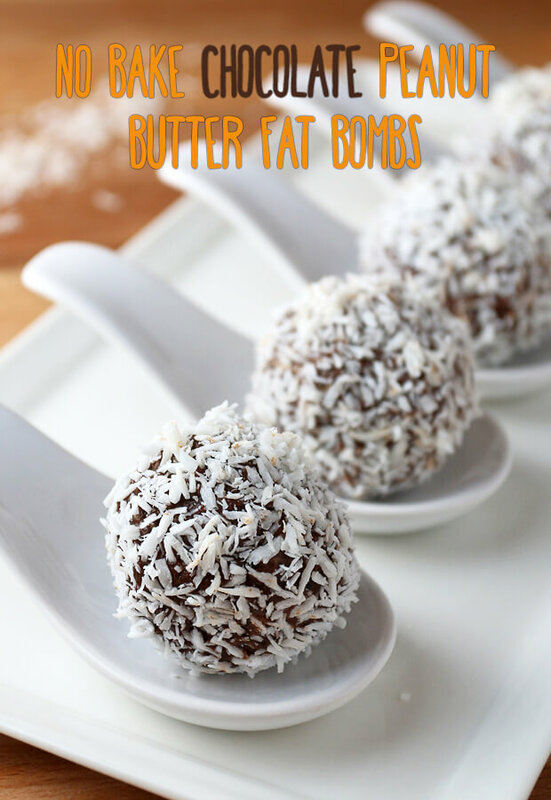 Because they’re no bake, they’re extremely simple to create and don’t take much time or effort. Instead of using regular peanut butter, we opt to go with the powder due to the absorptive properties. The PB Fit powder really ties it all together, balancing the sweetness and chocolate out with a creamy and nutty flavor. The hemp seeds really give a great chewy feel, just like how oats would behave in a similar recipe. This is my first time using hemp seeds in a recipe, but it definitely won’t be the last – the texture and flavor alone has given me so many ideas! Lastly, the coconut on the outside is just the cherry on top, so to speak. The crunchiness and slight sweetness, creating a harmony that you can’t get anywhere else. Crunchy, chewy, creamy, and chocolatey – all in one portable, delicious, and fat filled snack. 1. 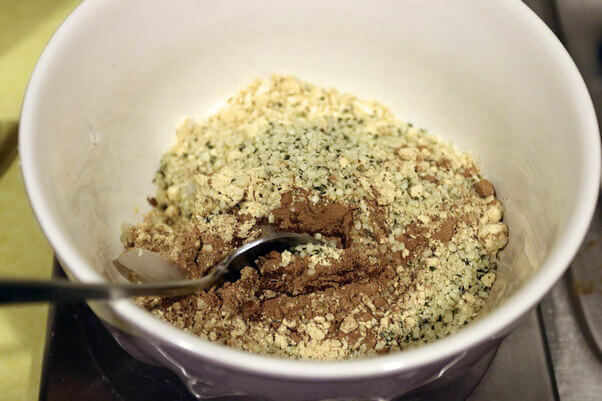 Mix together all of the dry ingredients with the coconut oil. It may take a bit of work, but it will eventually turn into a paste. 2. Add heavy cream, vanilla, and liquid stevia. 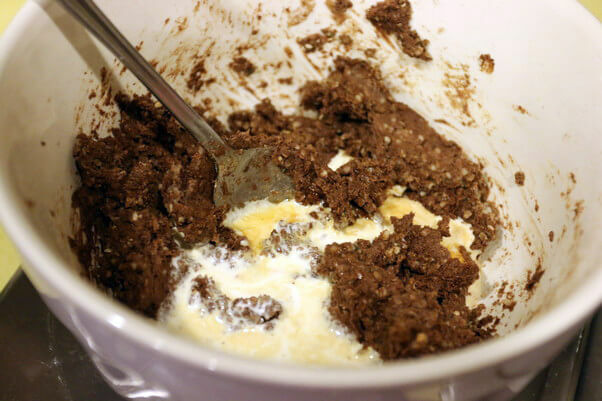 Mix again until everything is combined and slightly creamy. 3. Measure out unsweetened shredded coconut on to a plate. 4. 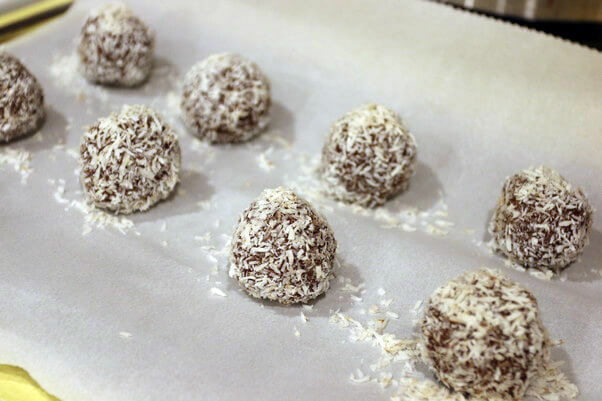 Roll balls out using your hand and then roll in the unsweetened shredded coconut. Lay on to a baking tray covered in parchment paper. Set in the freezer for about 20 minutes. 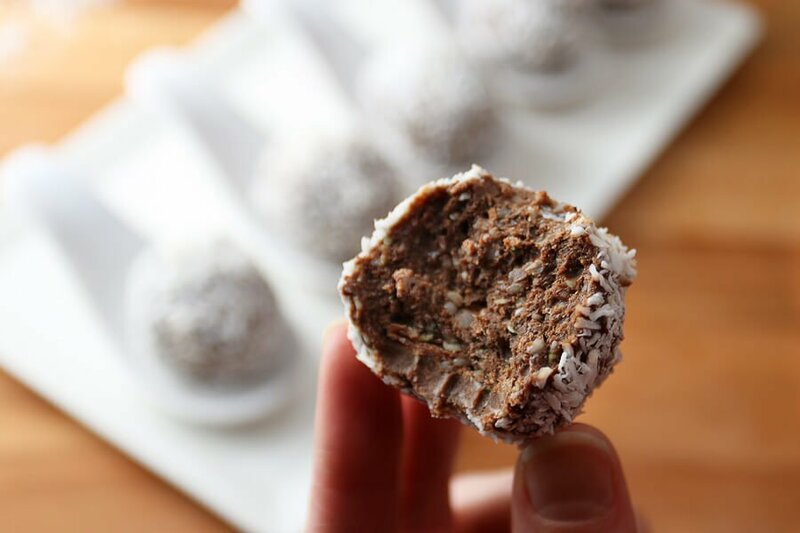 This makes a total of 8 No Bake Chocolate Peanut Butter Fat Bombs. Each fat bomb comes out to be 208 Calories, 20g Fats, 0.8g Net Carbs, and 4.4g Protein. 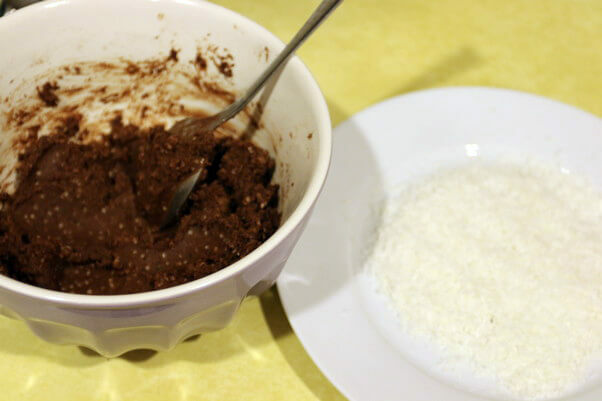 Mix together all of the dry ingredients with the coconut oil. It may take a bit of work, but it will eventually turn into a paste. Add heavy cream, vanilla, and liquid stevia. Mix again until everything is combined and slightly creamy. Measure out unsweetened shredded coconut on to a plate. 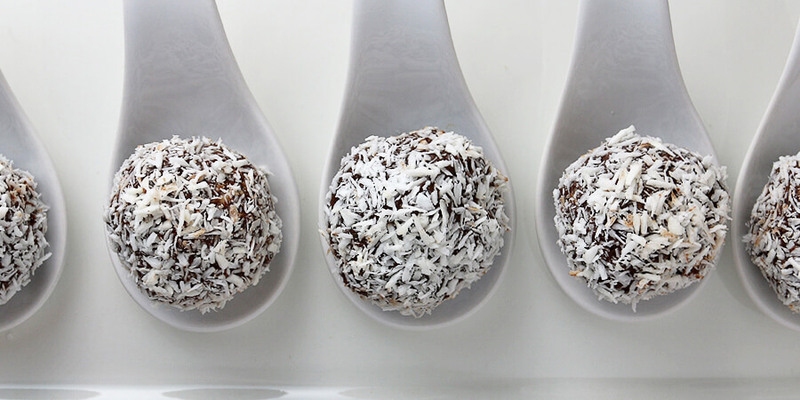 Roll balls out using your hand and then roll in the unsweetened shredded coconut. Lay on to a baking tray covered in parchment paper. Set in the freezer for about 20 minutes.